Last week, we posted a blog about how Discrete Choice Analysis (DCA) could be used to help design and develop new products more successfully. The final component of the technique is the provision of an Excel-based simulator to demonstrate the impact of different combinations of features and attributes on the forecasted share of market for a new product. So, how would that work? The box on the left allows you to manipulate the variables in the new product using drop down boxes for the variables and a continuous slider scale for pricing. The box on the right shows the results in terms of choice probabilities for the new product and each of the current competitors. 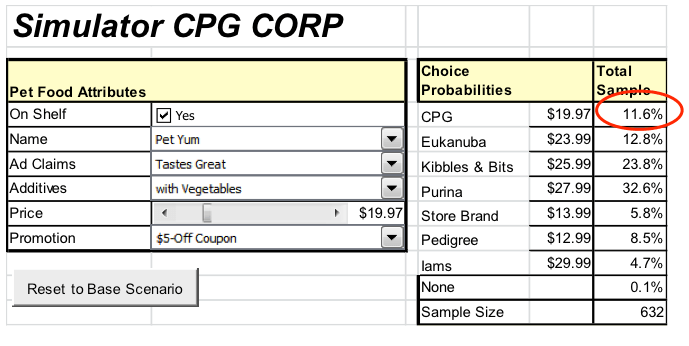 In this Base Scenario, the CPG product has not been launched and therefore has a zero choice probability. Purina has the highest share of the market (37.1%) under this scenario. The new CPG Pet Yum product gains a 3.6% share of the market with these characteristics and the current brands lose some share. 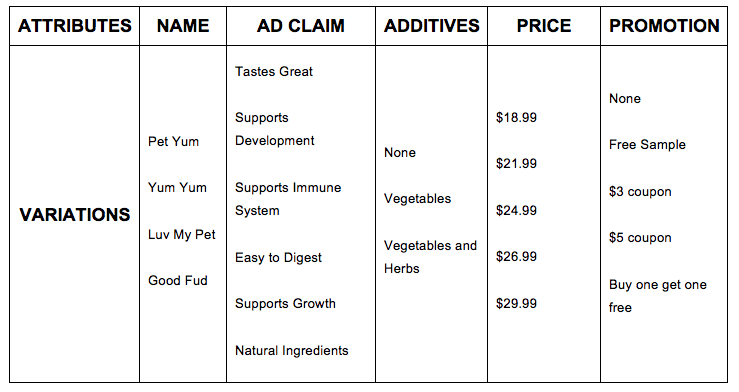 If we add a $5 off coupon, the CPG Pet Yum product gains 8 share points! As you can see, the product would be most successful in the Southwest. 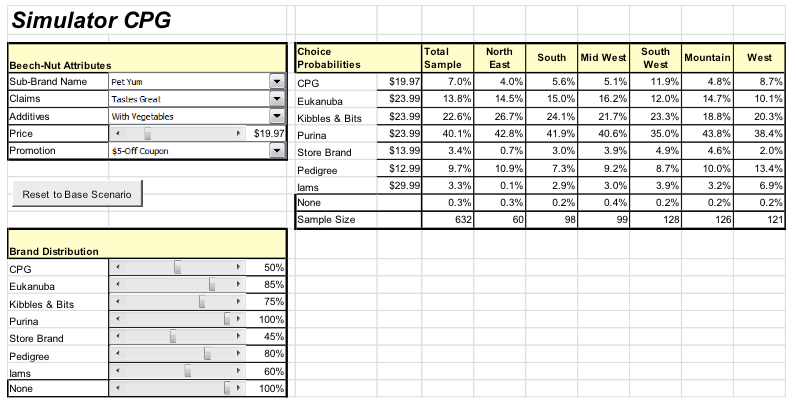 Finally, we could play out the scenarios by varying product distribution assumptions for the CPG product and for the competitors by adding a sliding weighting scale like the one below titled Brand Distribution. If we assume that the new CPG Pet Yum will only get 50% store distribution, versus the distribution shown for the other brands, the new product will receive a 7.0% share overall, and an 11.9% share in the Southwest. The Discrete Choice Simulator provides a relatively simple interface for often complex consumer choice modeling problems and the flexibility to account for real world variation. However, the true power in the Simulator is its ability to test an endless array of scenarios for a new product to identify the most effective marketing strategies and tactics. 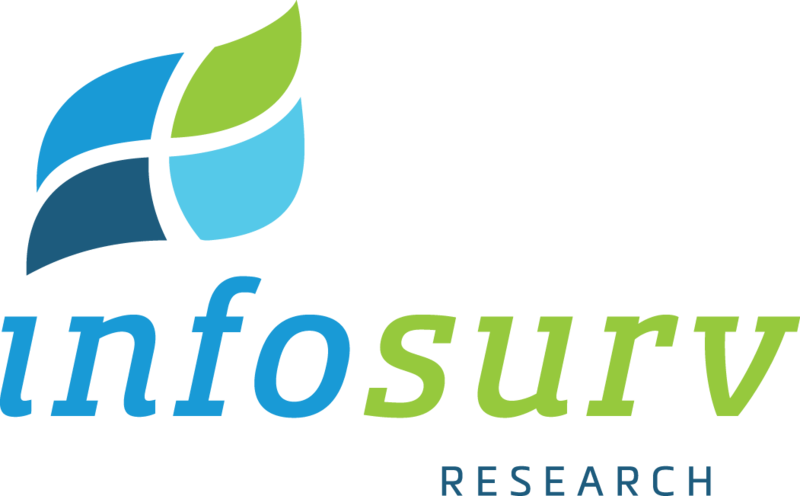 If you want to learn more about Infosurv’s approach to applying Discrete Choice Modeling, contact us at 888.262.3186 or sales@infosurv.com.